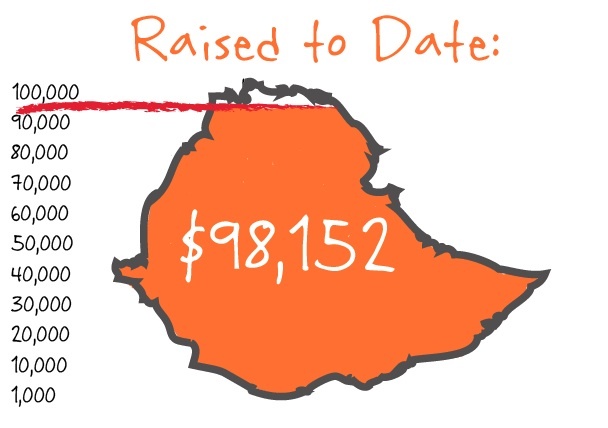 The Imagine Ethiopia 2010 Team Reached $100,000!!! The Imagine Ethiopia 2010 journey came to a close on October 8th and we’re excited to tell you the exciting news: they’ve reached their $100,000 goal to build an entire school for the Laelay Wukro community in rural Northern Ethiopia! We’re at $98,152 towards our $100,000! 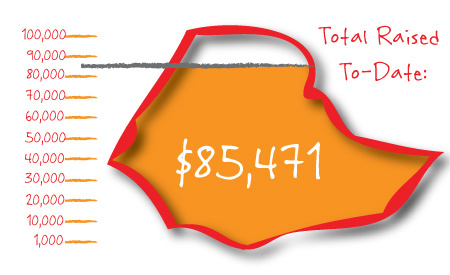 Only $1,848 remain towards our $100,000 to build an entire school for Laelay Wukro in rural Northern Ethiopia! Click here to help us close the gap while the 17 participants are in Ethiopia! With only 10 days left until the participants of the Imagine Ethiopia 2010 trip depart, only $14,529 remain left to raise until we’ve reached our goal of $100,000 to build an entire school! Help the Imagine Ethiopia 2010 Team reach their goal by clicking here! He’s the fastest long-distance runner the world has even known. It is imagine1day’s great honor to share with you that Haile Gebrselassie, Ethiopian national hero and international running icon has joined imagine1day’s Imagine Running to Ethiopia – an epic running challenge to build a school. Growing up on a wheat and barley farm in Asella, a rural community in central Ethiopia, Haile ran ten kilometers each way to school every day, a habit turn hobby turn undeniable talent that catapulted Haile from being his high school running star to the most prolific long-distance runner in the world. 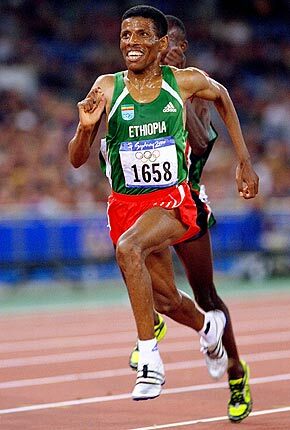 Haile announced his presence on the world stage at the 1992 Junior World Championships in Seoul, South Korea winning the 5,000 meter and 10,000 meter races, the first professional medals of his long and illustrious career. From Seoul Haile went on to participate in races around the world setting records and garnering new titles almost everywhere he went. From winning gold for the 10,000 meter race at two consecutive Olympic Games (1996 and 2000) to being the current world marathon record holder, Haile has conquered the long-distance track and road running worlds. But Haile is not only committed to running, he is also driven to make a difference in Ethiopia by supporting education initiatives. Similar to the work that imagine1day does, Haile built a school in his home village in order to ensure that the children living there would not have to walk so far to get to school. This ensures that regular attendance and enrollment are high. While Haile is by no means retired from the racing world, he also runs a number of his own businesses in Addis Ababa and Awassa with his wife and focuses on giving back to his country. Visit http://www.imagine1day.org/runningethiopia.htm to join Haile in the challenge! One such effort is Haile’s commitment to run 40 km for the imagine1day: Imagine Running to Ethiopia campaign which enrolls runners from all around the world to combine to run 13,286 km – the distance from Vancouver, Canada to Mekelle, Ethiopia – by December 31, 2010. The goal is that together the runners, like Haile and like you, will raise over $100,000 by having each km they commit to running sponsored by family and friends. All of the funds raised will go directly to building primary schools in communities in Ethiopia. Aiming for a marathon victory at the 2012 Summer Olympic Games in London and also committed to building a promising future for his country’s children, Haile continues to show the world that some of the best things truly do come in small, Ethiopian packages. I am the talented and talkative TLC. By day, I work at the University of British Columbia on a fundraising team, by night, I work at the Vancouver Community College teaching English to Canadian immigrants and in between I enjoy as many fun activities as I can with an awesome community of family and friends. Like Doug, one of the other participants of Imagine Ethiopia 2010, my birthday is also October 10, and thus 10-10-10 is going to be a big year for me! My wise parents graced me with my very cool initials and as one of the most sensitive people I know, I can attest that I exude tenderness, love and care (I am a bit of a softy!). I have always imagined going to Africa and this is the ideal opportunity! Firstly I am going on a trip with one of my closest friends, to see and experience the projects she and her team are realizing in Ethiopia. Secondly, I am grateful to be able to visit local communities, meet Ethiopian people and learn about their life and culture through them – this is a true privilege ! Finally, I feel fortunate to be joining such an inspired group of people who are all committed to achieving education for everyone in Ethiopia. The virtues of education are undeniable and I am thrilled to be part of Imagine Ethiopia 2010. I am creating the possibility of change! Not the pennies and nickels kind – the big stuff! I am inspired when I impact other people’s lives in a positive way (I should really get over myself), when Canadians win Olympic gold medals (still on a high here in Vancouver), when I draw a crowd at the local karoke bar (actually happened once! ), when I am in the bubble bath (great ideas are spawned here), when I mismatch my socks on purpose (I like to make statements), when I find old treasures at thrift stores (like macrame), when I listen to music (and sing along), when I learn new vocabulary (and then use it a sentence), when I am surrounded by mother nature (except bears and jellyfish), and when I make big decisions (not always a fast process for me)! when economic disparity is a rarity. I am Ioana Stoica. I was born in Romania and I have lived in Canada for the past 14 years. My passions in life range from love for animals, to continuously learning new things, to traveling the world, and so much more in between. I am committed to living each day in a way that enables me to get closer to reaching my greatest potential as an individual. It’s the opportunity of a lifetime to spend time with outstanding and inspiring individuals making a tremendous difference in the world. Imagine Ethiopia 2010 creates a space for me to dig deeper and be part of the bigger picture. I am creating the possibility of igniting a change that will forever connect communities in Ethiopia with those in Canada, and thereby elevating all to greatness through love and compassion. I am most inspired when I travel the far-reaching corners of the world and have the opportunity to interact with locals and immerse myself in new cultures. when wages in Africa are comparable to the ones in Canada and corruption is obsolete.